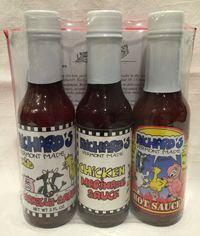 19 Oz Bottle of our Game Sauce. 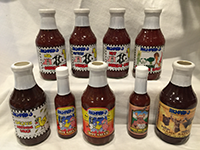 Our Hot Sauce Barnyard Label available in a 19 Oz bottle. 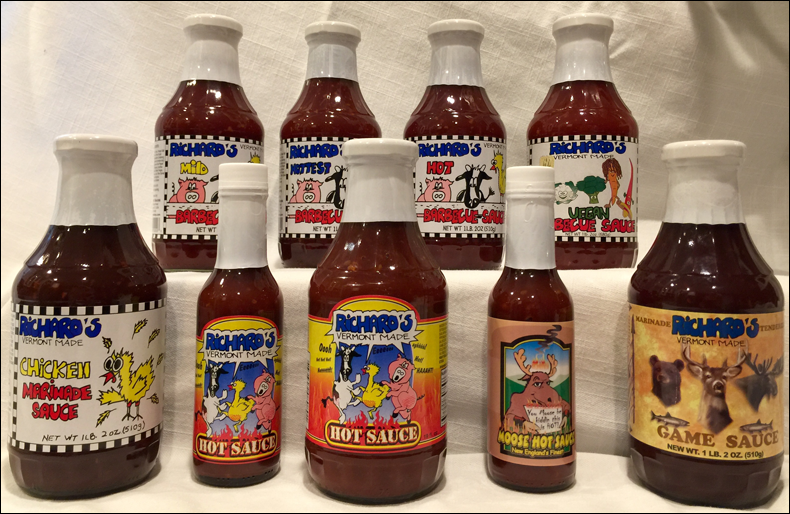 Quantity pricing starts at 3 bottles @ $10.00 per bottle, a Savings of $1.00 per bottle! Bulk pricing starts at 12 bottles (Case Pricing) @ $9.00 per bottle, a Savings of $2.00 per bottle! 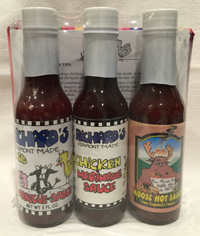 You get three 5 Oz Bottles of our Moose Label Sauce available in three distinct and delicious flavors in the same package. Mild, Chicken and Hot Sauce. Please select any combination of the bottles below to make up a case of 12 bottles. Please make sure you have a total of 12 bottles ONLY per case. You are welcome to order more than one case as long as they have exactly 12 bottles each.